Chelsea visit the County Ground on Tuesday evening for the League Cup 3rd Round tie and the first meeting between the sides since April 1994. As hosts, Swindon are unbeaten in league and cups in 2013/14. In those five games Town have earned victories over Torquay United, Stevenage, Crewe and Bristol City and a draw with Gillingham. Swindon Town beat Torquay United 1-0 in Round One. Then dispatched QPR 2-0 at Loftus Road. The Blues have entered the Cup in the Third Round owing to their involvement in the Champions League. Chelsea have yet to win away this season following a goalless draw at Manchester United and a 0-1 defeat at Everton. In all League, FA Cup and Football League competitions, Town have faced Chelsea on 13 occasions, winning 2, drawing 2 and defeated 9 times; scoring 15 and conceding 26. 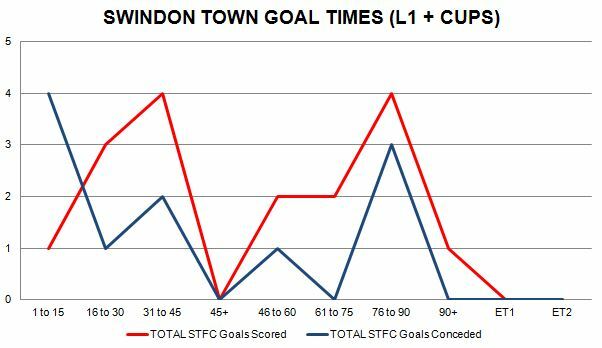 At the County Ground, Swindon have a record of 2 wins, 2 draws and 2 defeats, scoring 10 and conceding 7. The sides have only previous faced each other once in the League Cup. Town beat Chelsea 3-0 in a 2nd Round tie in September 1963 courtesy of Roger Smart and a brace from Jack Smith. Swindon have lost their previous five games against Chelsea. Town’s second, and most recent victory, came in the Simod Cup in January 1988. Goals from Tim Parkin, Steve White and JImmy Quinn gave Swindon a 4-0 win. Tricky one… We’ll probably get a pasting, but I’m confident this will be a very open game with goals from both sides. 4-2 victory for the visitors.